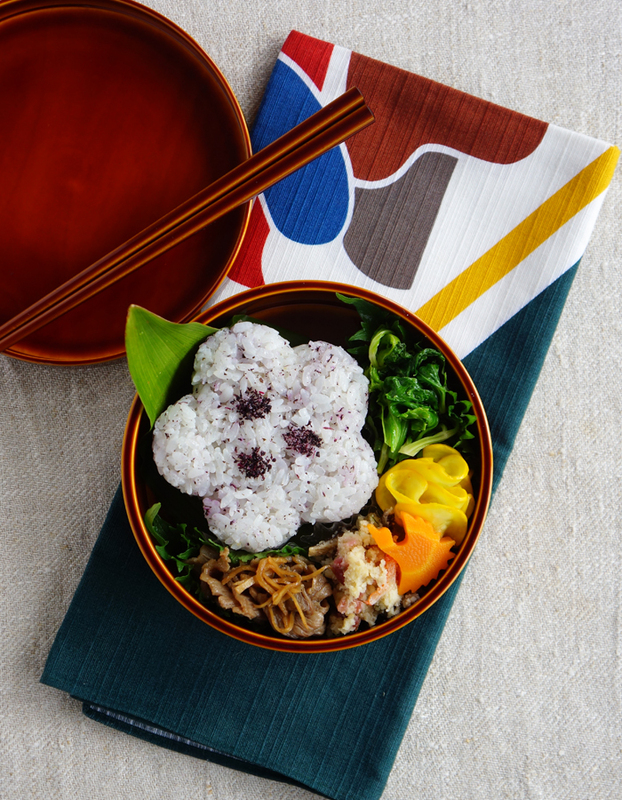 I formed this rice ball with flower-shaped onigiri mold. I like to mix a typical Japanese okara dish with chopped umeboshi and dried sakura-shrimps, because they add great flavor to it. I used a haran, large green leaf for beautiful presentation, not for dividing dishes. 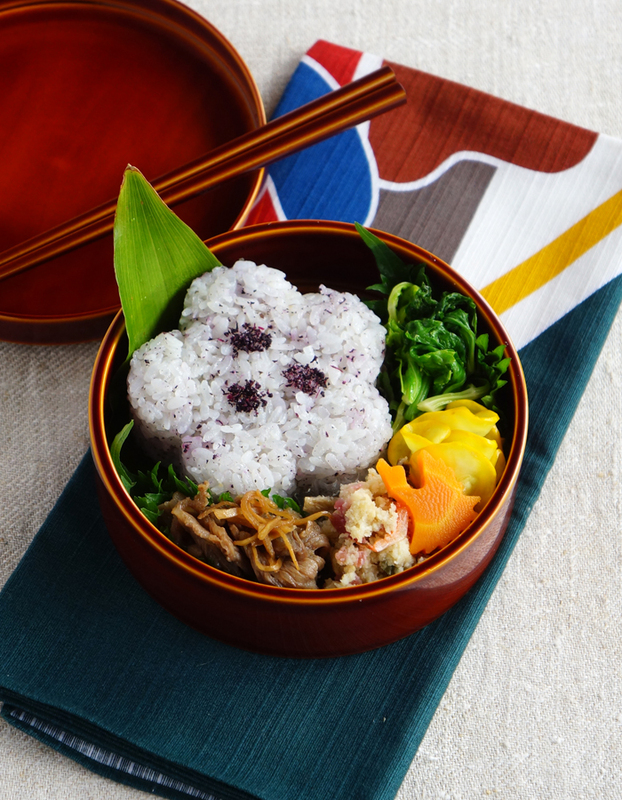 I want to make the flower-shaped rice ball look beautiful, so put it into the bento box first and then filled the empty space with other dishes.